This week’s comics cover health care, depression, and the life of a comics librarian. 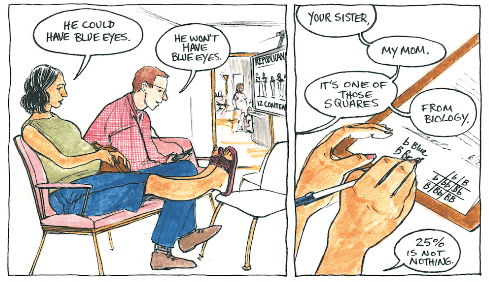 Check out new comics by Lucy Bellwood, Sarah Mirk, Big Nate and more. We’ve got a short post this week to leave you more time to read New York Stories, a sampler of great short comics about New York City from some top-drawer talents. However, we’d be remiss in not mentioning What Does Wonder Woman Actually Represent? by Lucy Bellwood and Sarah Mirk, a look at how Diana has changed over the years.